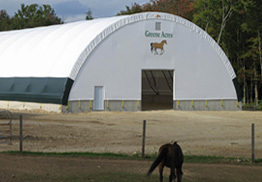 ClearSpan Fabric Structures provides ideal composting conditions that can be designed to the needs of any operation. A ClearSpan compost storage building can improve efficiency by creating an all-weather facility that eliminates many of the environmental risks that accompany composting. These structures encourage high nutrient retention and protect against the extremes of the sun, wind and rain, which can all adversely affect the balance of manure piles. With maximum ventilation, ClearSpan structures can improve air quality and create the perfect manure decomposition and handling environment. 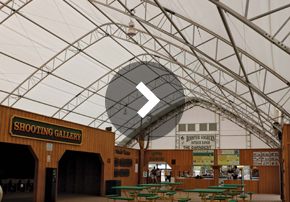 ClearSpan buildings can be built up to 300′ wide and at any length. With plenty of clearance, compost management is simple. The buildings accommodate even the largest vehicles and machinery. The buildings don’t have internal support posts, so skid steers, conveyors, pay loaders, windrow turning equipment and more can be easily operated within the building. Managing the composting process is difficult enough, so ClearSpan makes it easier by creating a controlled environment that maximizes the end product’s quality. Whether it’s sorting, shredding, screening, curing or all of these, ClearSpan makes the best compost storage structure. ClearSpan has a 40 year legacy of building compost structures. Over this time, ClearSpan has combined engineering expertise with manufacturing experience to ensure each customer gets exactly what they need. 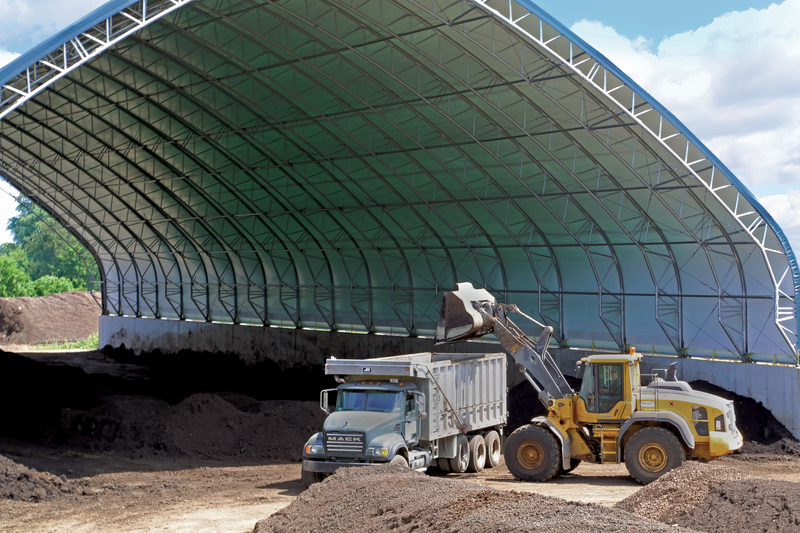 Compost buildings from ClearSpan are built with each customer’s solution in mind. Whether the structure will be used on a small farm or a commercial composting facility, ClearSpan will tailor each structure to the most specific building requirements. Need a building fast? ClearSpan has plenty of turnkey (includes design, delivery and installation in one, low price) and stock options. Contact a Truss Arch Specialist today or Request a Quote now for more information. To learn more about how ClearSpan helped Laurelbrook Farm, contact Bob Jacquier at LaurelbrookFarm@sbcglobal.net or 860.824.1287. Our compost buildings come in fabric, hybrid and metal buildings, ensuring that no matter how you plan on using your ClearSpan structure, there is an ideal option.